And here is the link to the app on APK Mirror so you can download it and install it manually. You can access the new Tasks via the new Gmail, but since I don't have that yet I can't tell you exactly how the two are integrated. 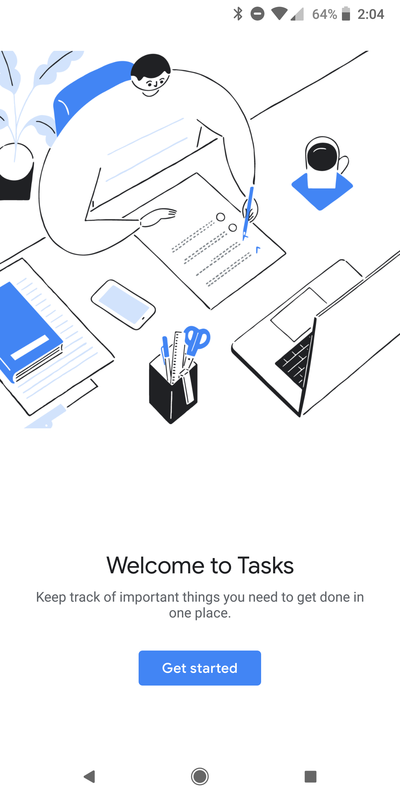 Google is pointing to a G Suite support page explaining the features of Tasks but it hasn't been updated to cover the new version just yet. 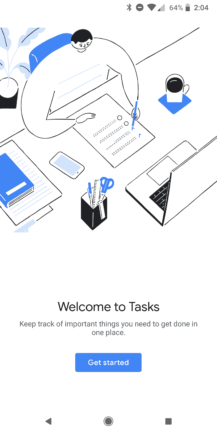 Presumably when we get the new Gmail we'll also be able to access it via tasks.google.com, but it's not working yet. 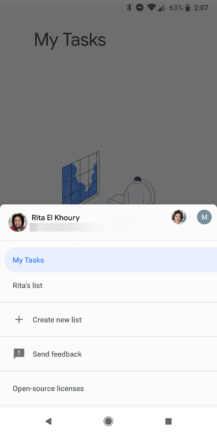 The Android app is available to anyone right away, and a quick look shows some completed tasks of mine from 5 years ago — proof that this is an overhaul rather than a brand-new product. 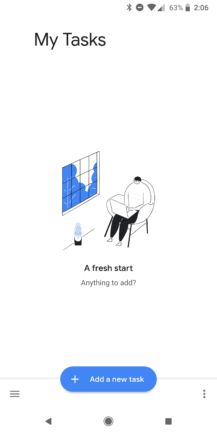 Its design is clean and fresh, exhibiting aspects of the Material Design refresh we're expecting to hear more about at Google I/O next month. The most striking departure from what we're used to is that all the navigation elements are at the bottom, including the hamburger menu, "Add a new task" action button, and three-dot overflow menu. Given how tall phones have become, this is going to be a godsend. 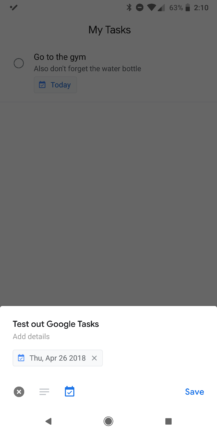 Tasks can be assigned a due date and description, and you can also add subtasks for more complex to-dos. Curiously, you can't set specific reminder times, which seems like an oversight to me. When you create an entry it defaults to your main task list, but you can also set up separate lists to organize things further. 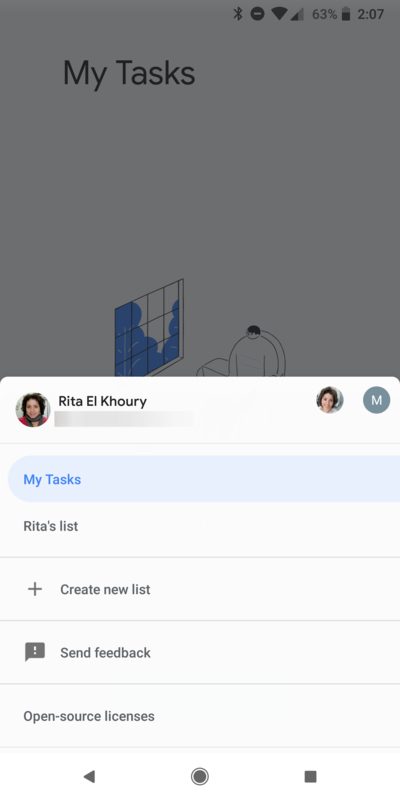 When you get the new Gmail, you will also be able to create tasks from emails by dragging and dropping, although we'll have to wait and see how exactly that works. 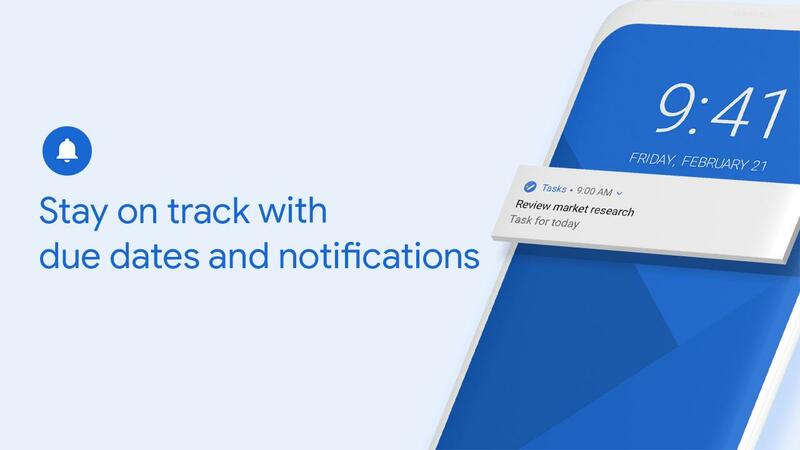 One of my first posts at AP was an editorial about Google's scattergun approach to reminders across its many products, and it's in an even worse state than ever. 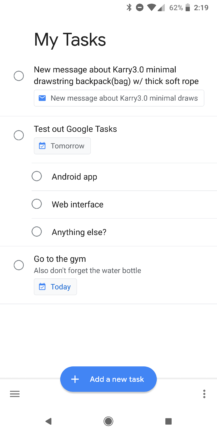 A standalone app for managing tasks is a solution I had expected for a long time, although since this doesn't actually incorporate reminders, sadly this appears to be yet another way of doing basically the same thing but in a different place with a different outcome. We're currently working on getting the APK ready, so check back for that soon.